August’s Positive Change recipient is Land Stewardship Project, an organization dedicated to transforming our food and farming system from the ground up, using core values of land stewardship, social justice, and democracy as tools for change. LSP’s sustainable agriculture work has a broad and deep impact, from new farmer training and local organizing to federal policy and community-based food systems development. Founded in 1982, LSP has been on the leading edge of new farmer training and education. 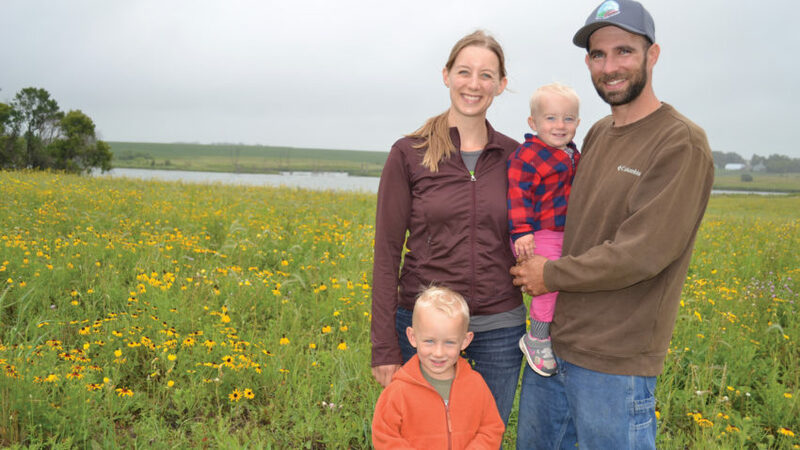 Their Farm Beginnings Program works to get more successful farmers on the land and organize for a system in which family farmers can flourish. Over the course of 20 years, over 600 farmers have graduated from the program. Many LSP graduates are currently selling food and locally-made products to metro area food co-ops and restaurants. A number of Mississippi Market vendors serve as LSP members and mentors, including Featherstone Farm and Pastures A Plenty. August Positive Change proceeds will assist LSP in their continued efforts to support new family farmers and advance racial justice in our local food system. A Racial Justice Cohort of LSP members and staff was recently formed to help bridge the gap between rural and urban populations in order to lift up stories of immigrant and minority farmers, especially those who live and work in predominantly white, rural farming communities. Since December of 2016, the cohort has met monthly for training sessions on topics including privilege, power, structural racism, self-interest, and land rights. These trainings have been led by organizations working with local Latino/a, Native- and Asian-American farmers. LSP believes that by working together, culturally and racially diverse rural and urban people can take practical steps that result in greater stewardship of the land, more family farmers, healthy food for all and resilient, racially just communities.